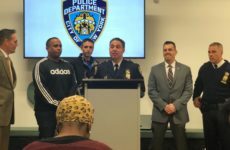 A vigil was held on Thursday night, in memory of Shaquanna Button, the 36 year old woman who was shot in the face and killed at 11:35 p.m. on Monday night outside a Mott Haven bodega. The vigil was held outside the store where Button was killed, Candy and Grocery at 728 E. 149th Street, by a man with whom she had gotten into an argument inside the store. Nearly 100 friends and community members joined in condemning gun violence while chanting “stop shooting, start living” between impassioned speeches by community leaders, anti-violence activists and City Councilwoman Diana Ayala. 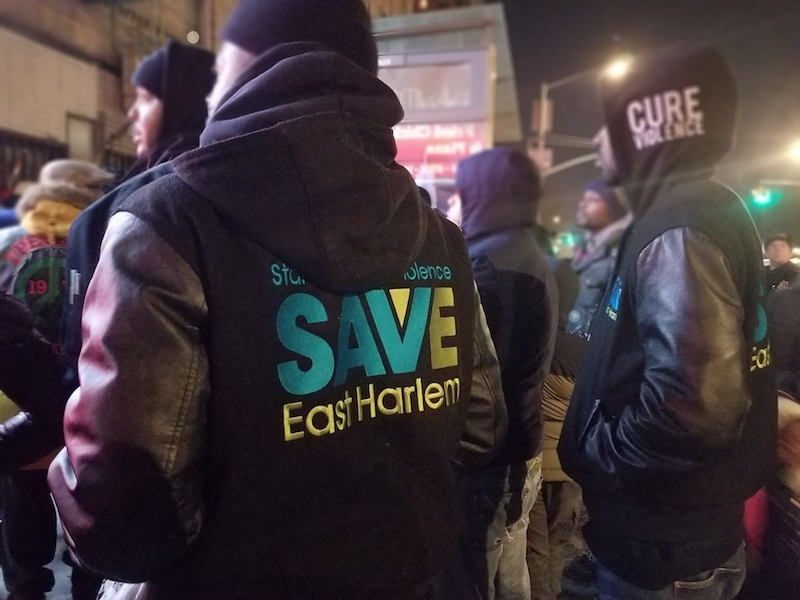 “When a shooting happens there are two families that lose—the victim’s and the shooter’s,” said Jamie Rivera, community engagement coordinator for Save Our Streets (S.O.S.) 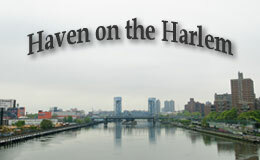 South Bronx, a grass roots group whose aim is to combat street violence. 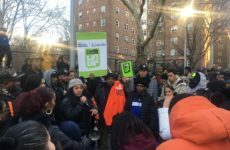 Button’s aunt and two goddaughters were among the crowd that huddled for the vigil outside the bodega, but others who were not blood relations of the Buttons also referred to themselves as the victim’s family. In a residential building across the street, tenants set out candles in her memory. 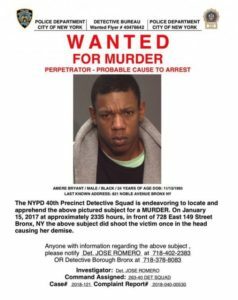 NYPD has circulated wanted posters asking the public for its help locating a suspect, Amere Bryant, 24, for questioning about the murder. Activists noted that gun violence has declined recently, pointing out that Monday’s incident was the first shooting in more than 200 days in the area. They vowed to continue to canvas the city’s streets to get the word out about available resources, in hopes of preventing another tragedy like this one. 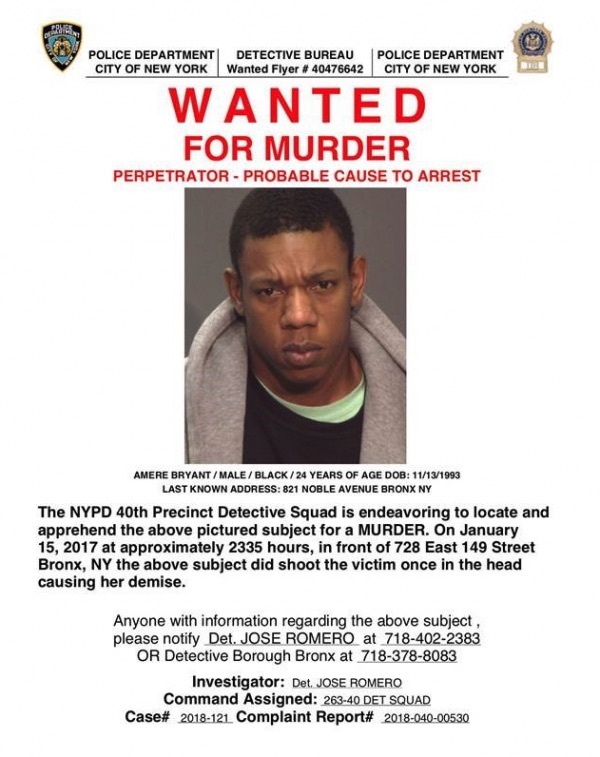 “This is not acceptable in our neighborhood,” said Michael Rodriguez, an outreach worker and supervisor at Release The Grip, an arm of the Bronx Connect program. “I’m disappointed,” said 45-year-old Wilma Conde, who grew up in the neighborhood and now has children in their 20s. Rodriguez and Conde aren’t alone. Councilwoman Ayala said she was “pissed off”.